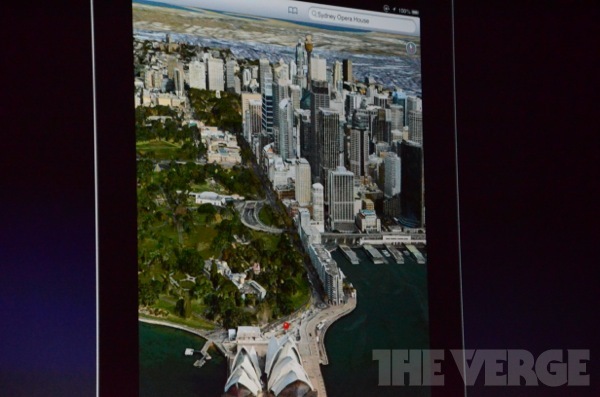 Apple’s Maps solution is vector-based and has the ability to zoom and rotate. It features a 3D view called “Flyover” that allows you to see the sides and tops of buildings, which Apple said is smoothly rendered in real-time. An inline card gives information on locations, including a phone number, address, reviews, and photos. There is also a very slick traffic feature that allows you to view estimated time of arrival or if there are accidents on the road. You can read more about the new Maps in our liveblog.